And the red flags are up for the United Way Campaign. 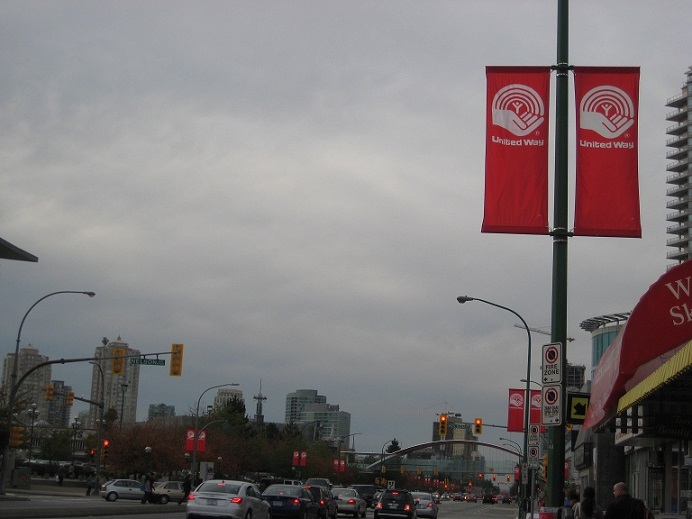 Kingsway Street is lined up with all these banners to remind us that United Way kick off is just around the corner. Across the street is an electrical box. Lines are bisecting each other that make a pattern, a street pattern. This is the front view. 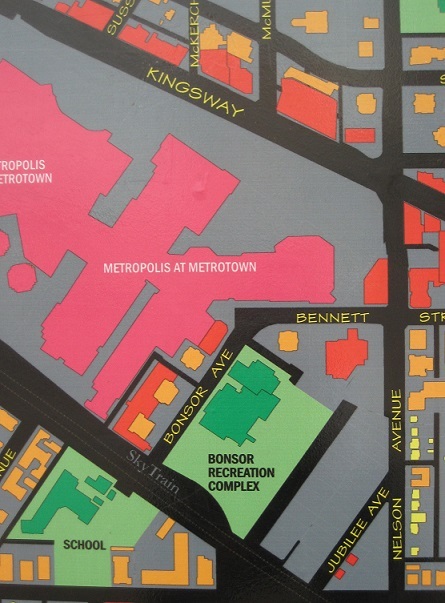 The most important part because Metrotown Mall is a major destination for most people to shop till they drop. This is the back view or maybe front since you can see the door handle. It doesn’t matter. It all depends on point of view. This is a side view. 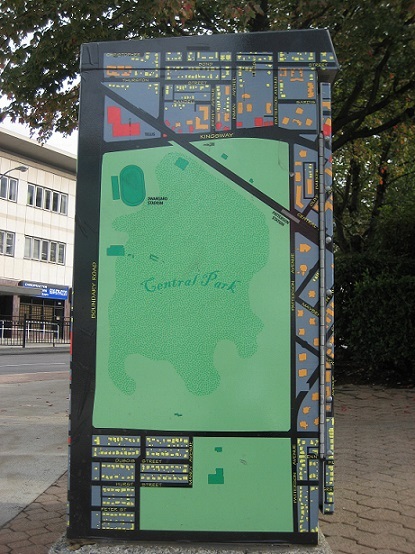 Central Park practical covers the entire panel. It’s a beautiful park by the way. 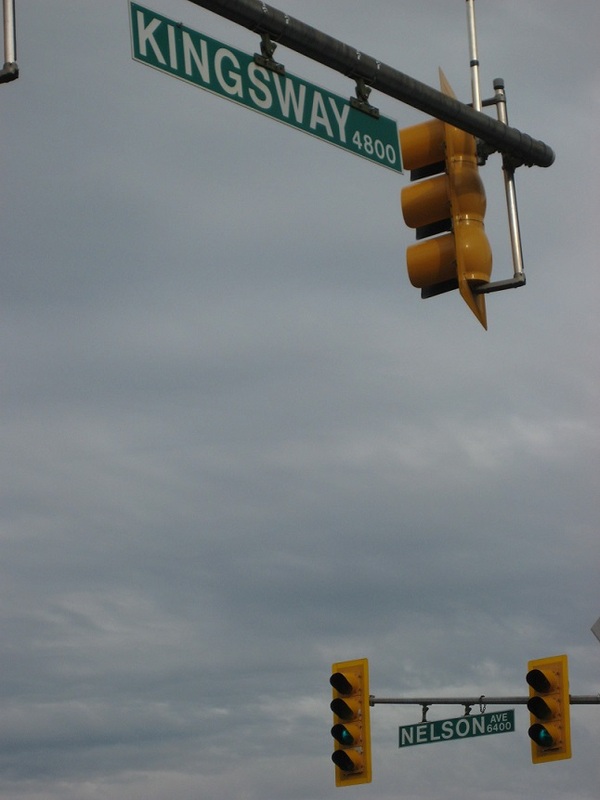 The main streets are Kingsway and Nelson. This is a major intersection with traffic light patterns. 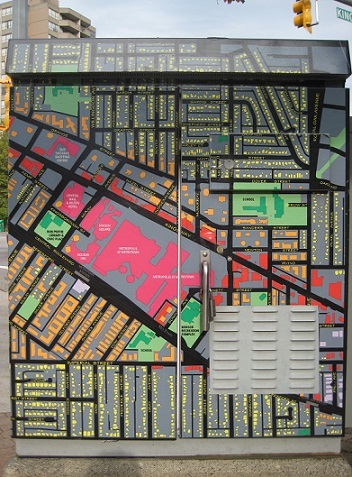 I have just given you a good map of Burnaby’s main hub. Come on over and I’ll meet you at the mall for coffee.